The challenge runs 2 weeks and uses this fun photo for inspiration! Use the colors or the inspiration photo if you so choose and play along! Color! 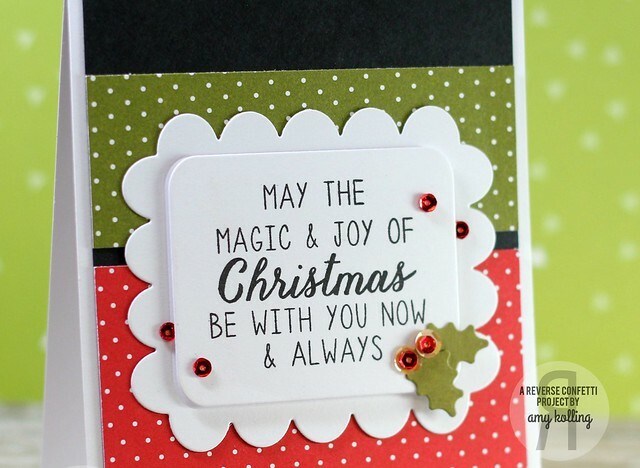 That is what is up this week for the newest showCASe your style challenge sponsored by Whimsy Stamps! 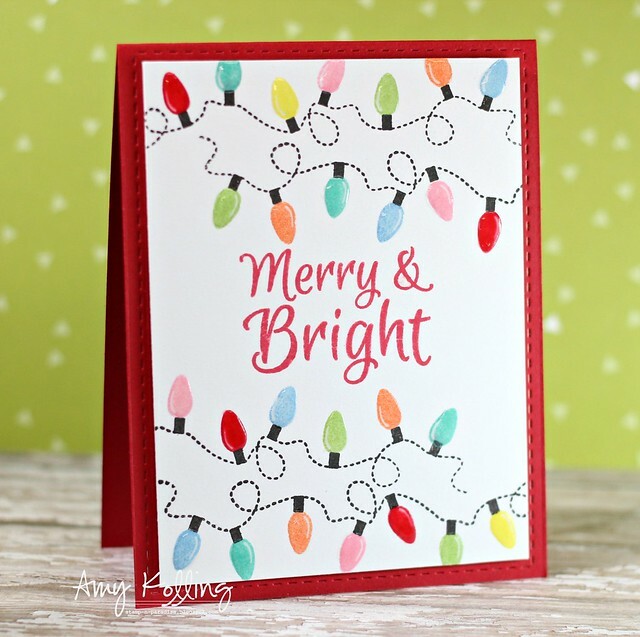 I used the Sparkle and Shine stamp set from Whimsy Stamps and stamped my lights in colorful colors to match the inspiration photo, Each light was then covered with glossy accents and allowed to dry. 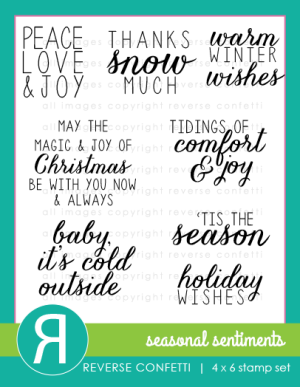 I used the fabulous sentiment set from Reverse Confetti called Seasonal Sentiments. 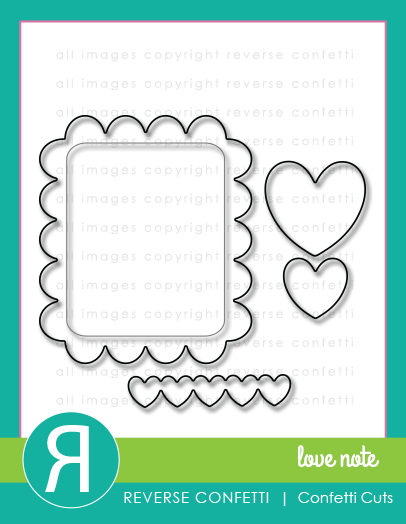 The sentiment was stamped on Confetti Cuts: Class Act and Love Notes. 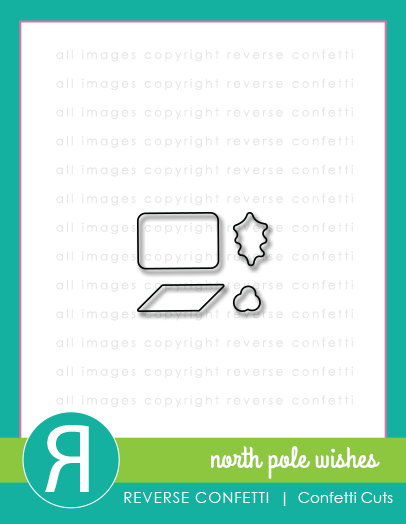 I embellished the frame with a few metallic sequins and holly leaves from the Confetti Cuts: North Pole Wishes. Here is the fabulous sketch for this month's challenge! So let's see your Reverse Confetti creations this month.....you have a few more days to get it done! Happy Monday everyone! (or Tuesday for me since we are closed at work on Thursday so that patients and families can spend the holiday together) I am blessed to have a 4 day weekend over Thanksgiving this year......does not happen very often when you are a nurse! 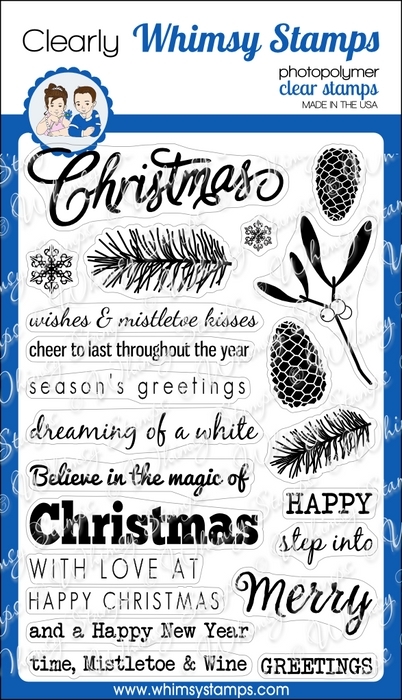 I have a card to share today using Frantic Stamper exclusive cling mounted rubber stamps. 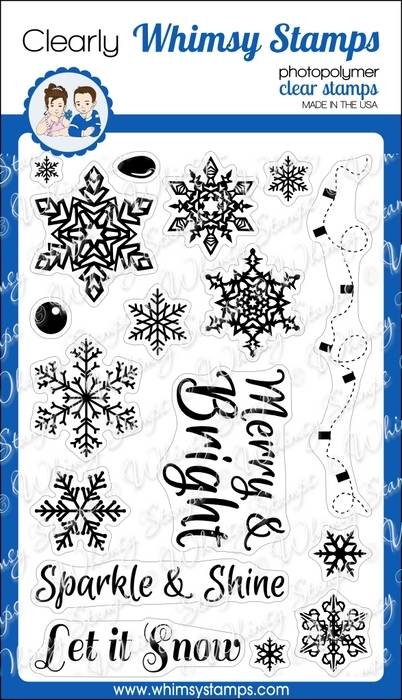 I've used the Snowflakes stamps and white heat embossed them onto a white cardstock panel. Using Distress Inks in Salty Ocean and Tumbled Glass, I blended the inks over the embossed snowflakes in a circular motion to "highlight" them. 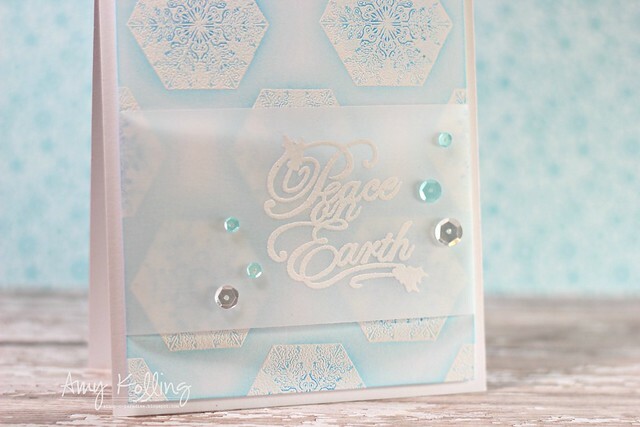 My sentiment (from Peace on Earth stamp set) was white heat embossed as well onto a wide strip of vellum. This vellum panel was folded over the embossed snowflake panel and adhered to the back. I like how the panel kind of "floats" above the snowflakes. The last detail was adding in some Aquamarine and Sparkling Clear sequins from Pretty Pink Posh. 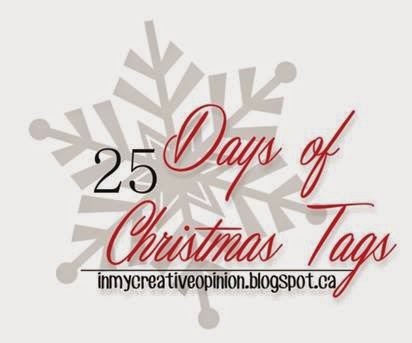 Tracey's 25 Days of Tags! 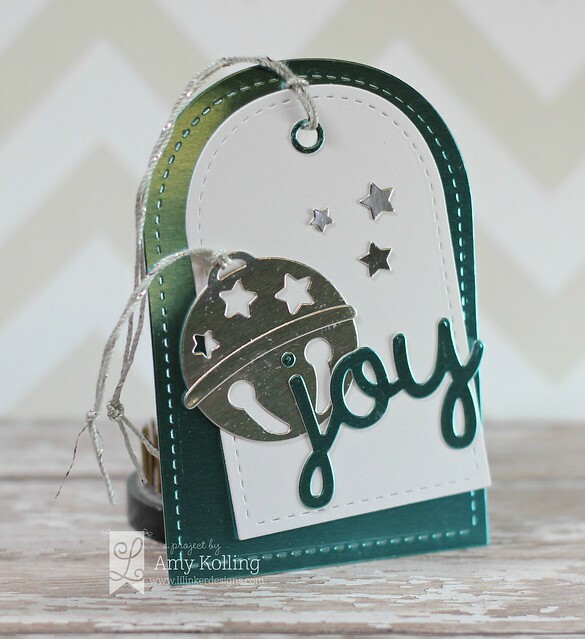 I'm helping my friend Tracey McNeely celebrate her 25 Days of Christmas Tags this year!! She has set up a new Flickr group to check out HERE this year as well as all her Pinterest boards with previous guest designers HERE, HERE, and HERE. I went with a tag using FOIL cardstock. 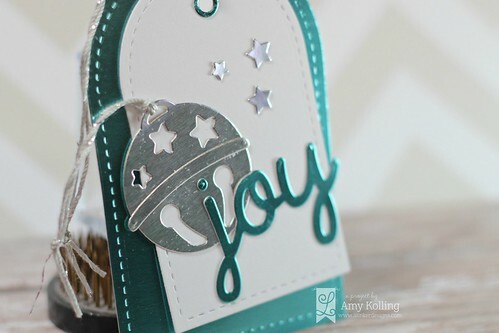 With all the glitz of the holidays, I created a tag that will definitely shine on a package or gift bag. 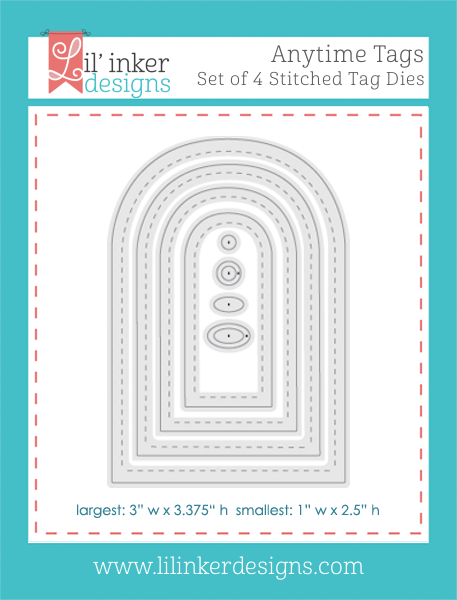 Using the Anytime Tag Dies Set from Lil' Inker Designs, I did a layered tag using 2 sizes of the tags.....one in white and one in turquoise foil. 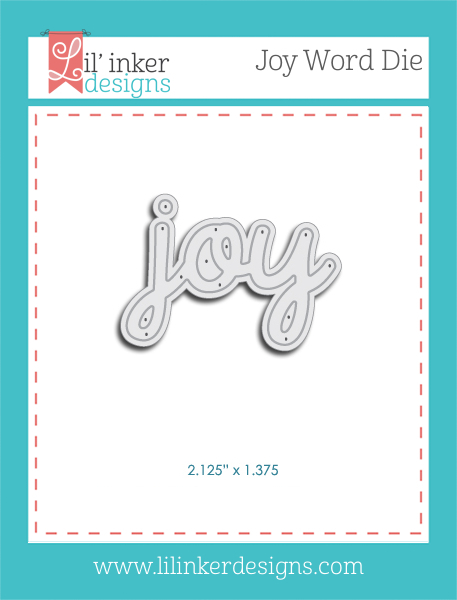 I added in a die cut from the Jingle Bell Die Set done in silver foil and a die cut Joy Word Die. It's time to share the next Cutting Edge Challenge! This week's inspiration card is one of mine!!! 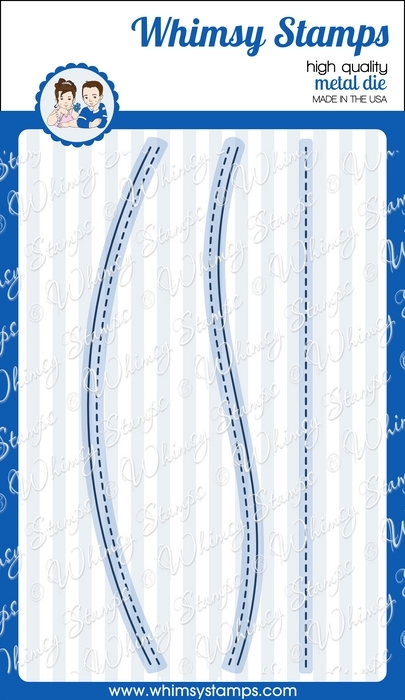 For my inspiration card, I used the On the Diagonal Die featuring the Dual Stitching detail from Lil' Inker Designs. This week's challenge also will be the LAST Cutting Edge Challenge. It has been so fun to be a part of this! Thank you so much Jackie! Pink. Orange. Green. 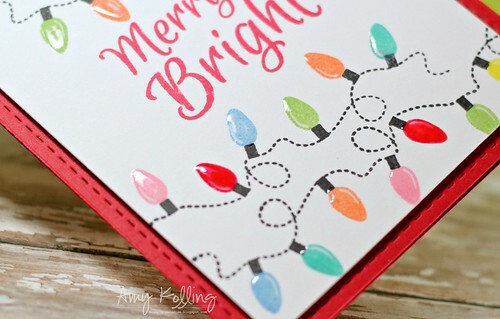 A favorite and yes, unusual color combination for a holiday card but I don't always like to create with the traditional colors when it comes to the holidays. This color combination is just fun so I used it for my card today. 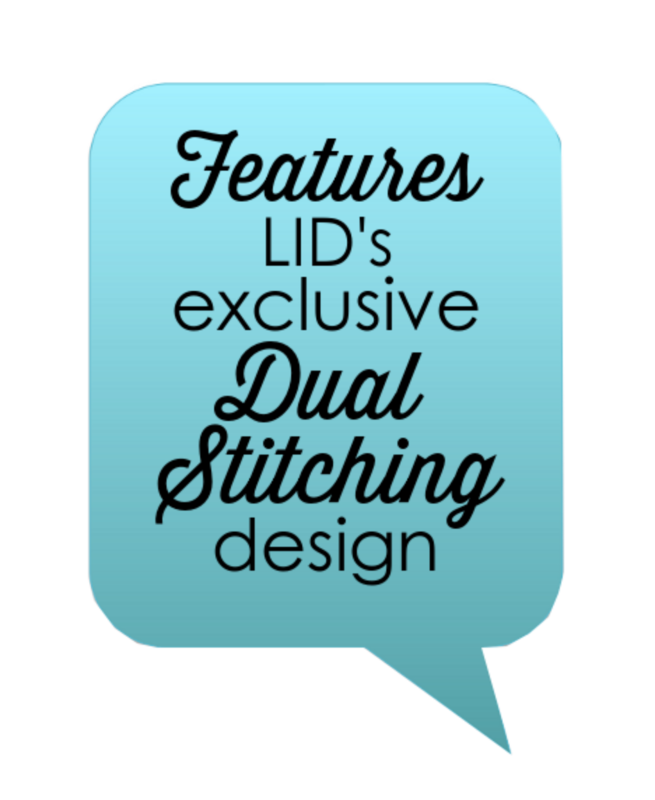 For my challenge card, I've used the awesome STITCHED MATS: CIRCLES that feature LID's EXCLUSIVE "Dual Stitching Design". 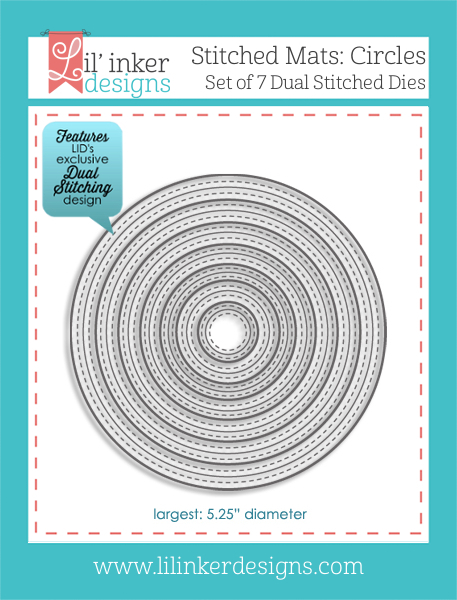 When diecut, the circles not only cut a stitched circle but a stitched circle left on the negative! 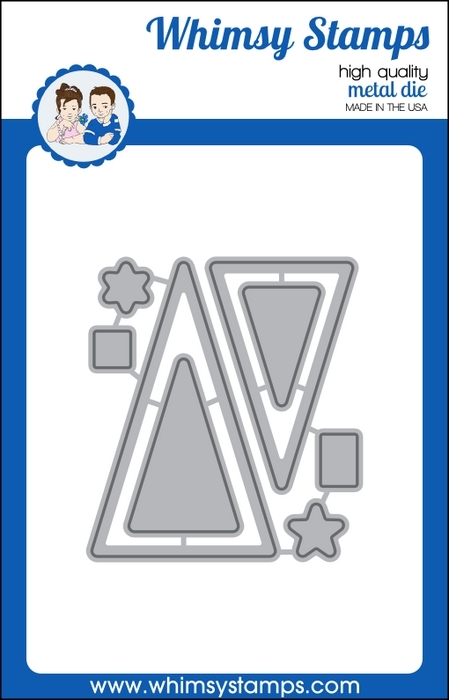 That one detail gives so much more "WOW" to a card like this! 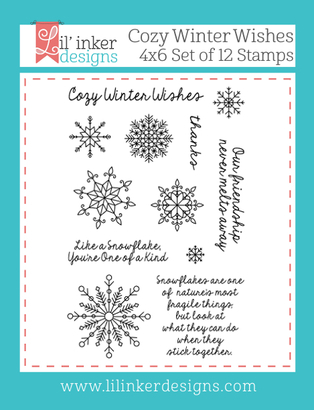 In the centers of the circles, I've silver heat embossed snowflakes from Cozy Winter Wishes from Lil' Inker Designs and then added them back into the stitched negative panel. 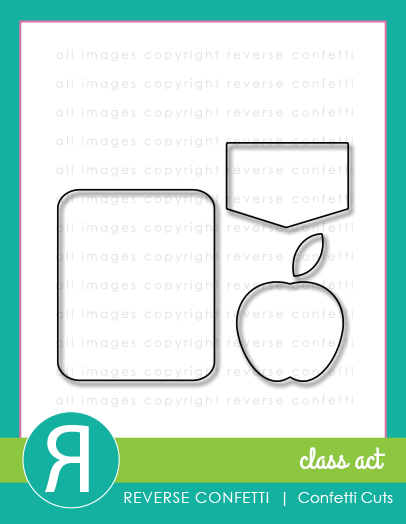 The final touch was adding in my favorite clear sequins in all 3 sizes (4mm. 6mm, 8mm) from Pretty Pink Posh. The holidays are upon us. At our house, the tree is decorated and most of the holiday decor is up. I know it's early but we are hosting Thanksgiving with ALL our family (both sides) this coming week and I wanted to be able to enjoy my 4 day weekend. Being a full-time nurse, you don't get many (if any) holiday weekends like this! I have plans to host, shop, spend time with friends/family, and just relax! 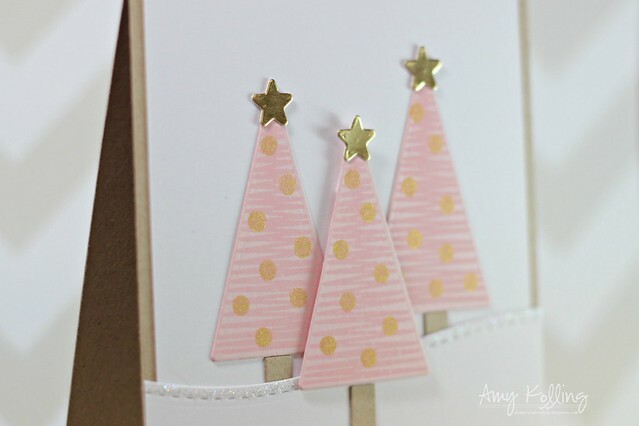 My card today uses the inspiration photo over at Festive Friday.......and I couldn't get the color pink for the holiday out of my mind so I created some pink trees using Tremendous Triangles from Whimsy Stamps. 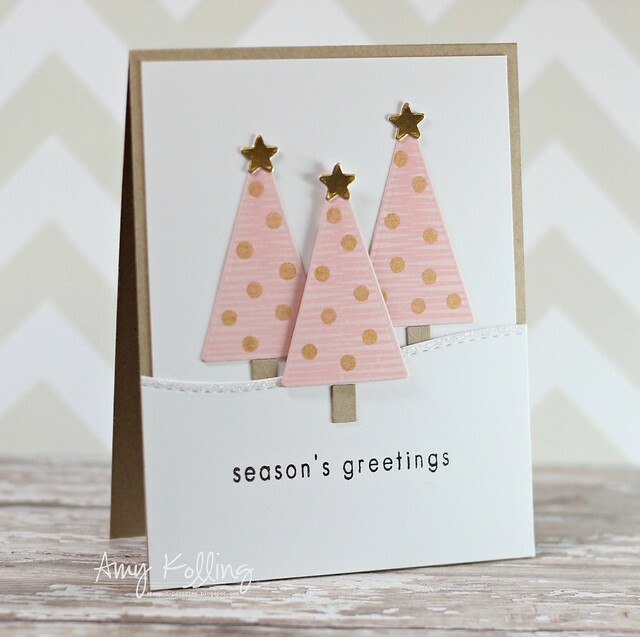 I stamped the zig zag triangle on the coordinating die cut and embellished with gold stamped dots from the Tremendous Triangles stamp set. The glittery hill was done using the Stitched Border Trio Die set. 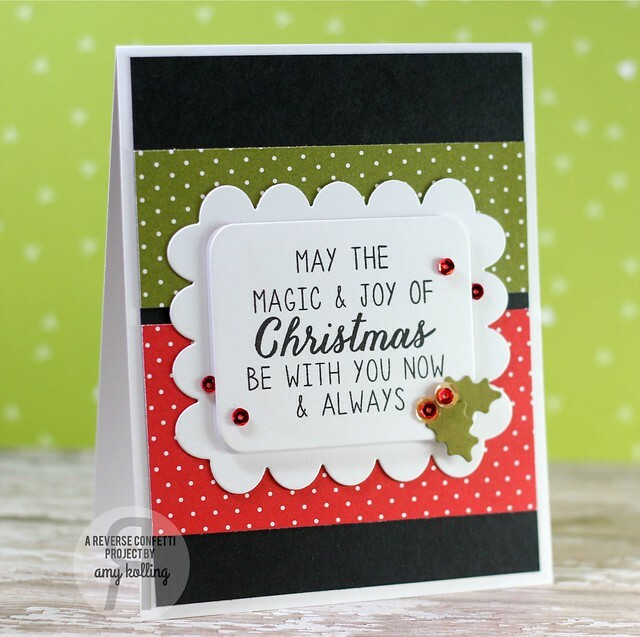 My sentiment is from the Christmas Greetings set. Lastly, some gold stars were diecut and attached to the tops of the trees. 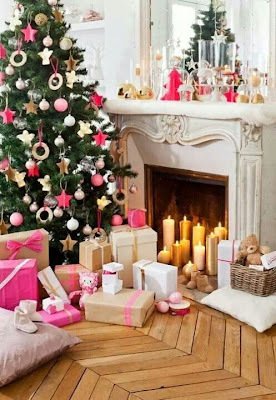 Check out the Festive Friday inspiration photo below and play along!! 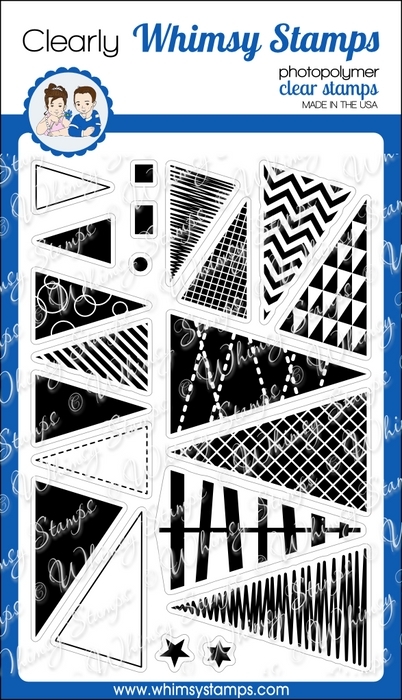 Thanks ombre and chevron style! 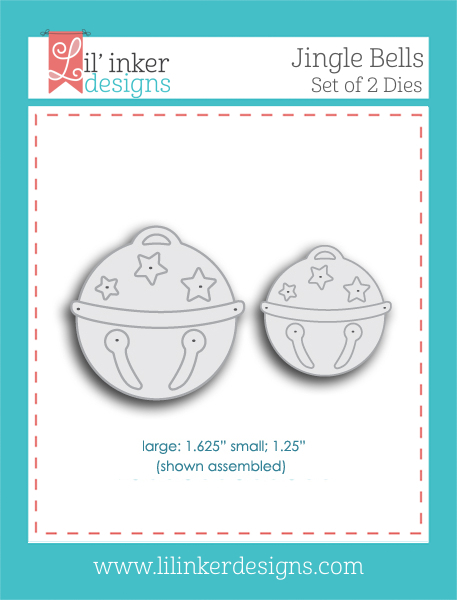 Celebrate with Frantic Stamper dies!! !